Losing a precious photo, or a ‘my boss will kill me’ file is a painful experience. It is also completely avoidable with an online backup service like Dripbit — and TNW Deals is currently offering a lifetime subscription for a one-time low price: just $54.99. 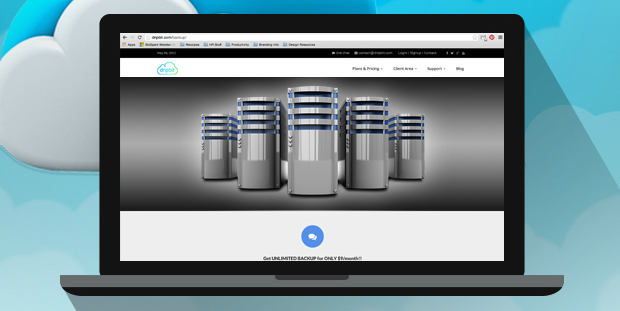 Dripbit offers a generous 1TB of storage space, but this service has more than just capacity to offer. Files upload pretty much as fast as your connection will allow, and they are protected by AWS 256-bit encryption (military-grade security, in other words) to ensure absolute privacy. You can access your files via any web browser, and Dripbit offers apps on iOS and Android. Along with the ability to download your content, you can stream audio and video straight from the cloud. Right now, TNW Deals is offering a lifetime subscription to Dripbit’s service for $54.99, which is 88 percent off the standard price. If you’re looking for a way of keeping your digital stuff safe, you should definitely check out this deal.